Much like pancakes and doughnuts, dumplings are an almost universal type of food. Just a pocket of dough filled with a sweet or savoury filling, there are lots of different types of dumplings around the world. Simple yet complex, they are infinitely adaptable and have become tasty staples in many countries. 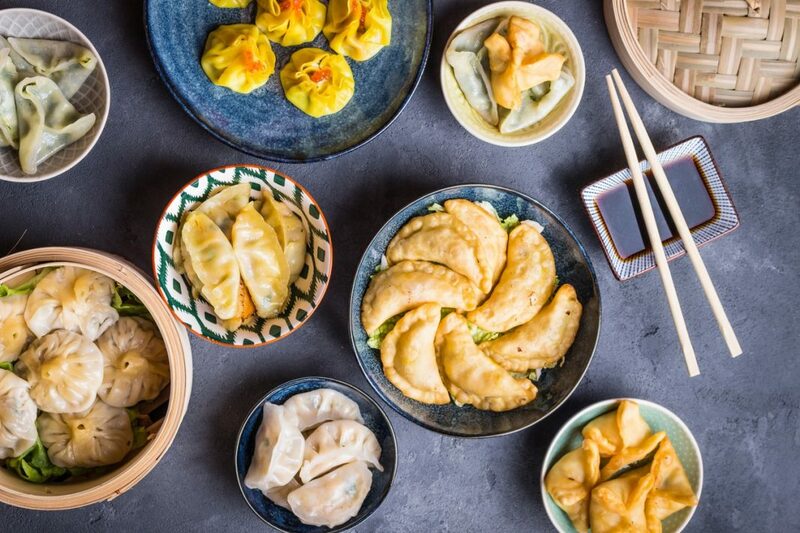 Whether they’re baked, boiled, steamed or, fried, these 35 dumplings around the world are sure to get your tastebuds going. 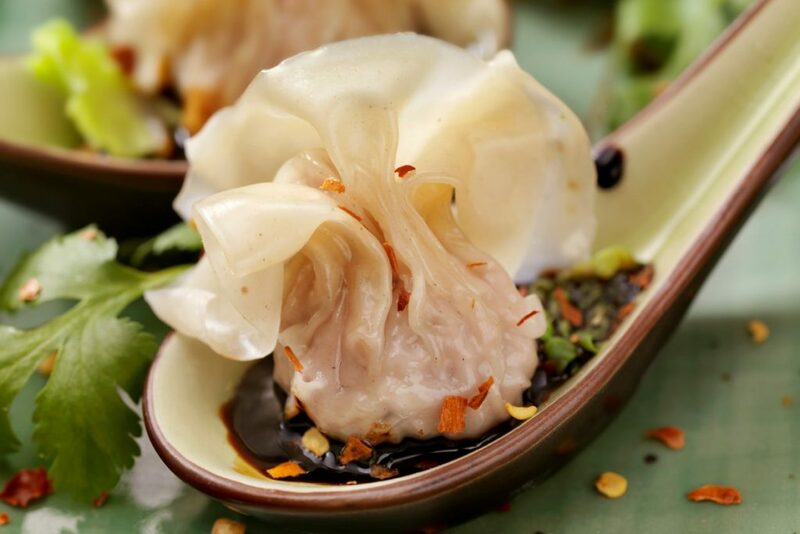 These almost transparent Vietnamese pork and shrimp dumplings are made with tapioca flour. 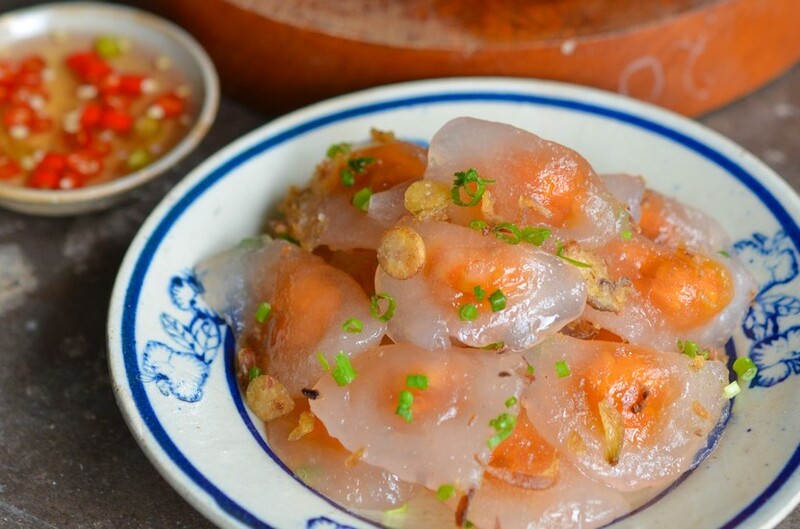 It gives the banh lot loc its unique clear appearance and chewy texture. They can either be wrapped in banana leaves and steamed, or boiled, and are served with fish dipping sauce. 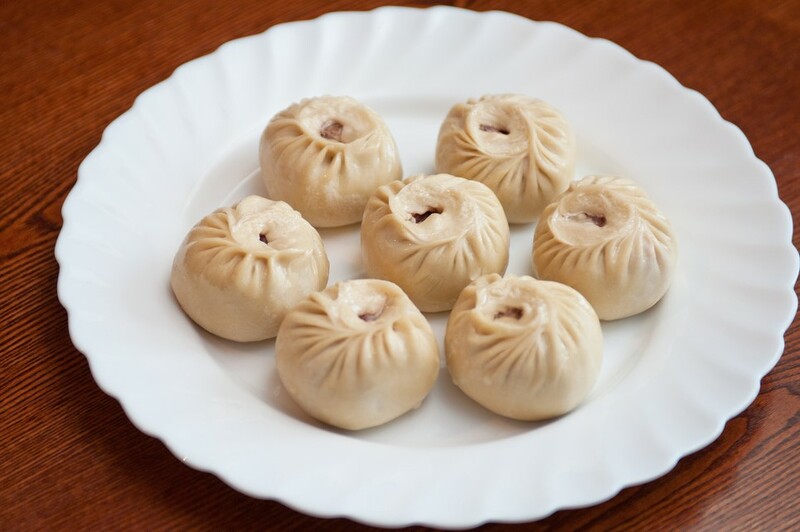 Mongolian steamed dumplings, or buuz, are usually filled with a mixture of garlic and ground beef or mutton. It is eaten during the Mongolian Lunar New Year. The dough can also be fried and is then called khuushuur. Cha Siu Bao are steamed pork buns that are as a type of dim sum. Cha Siu is the barbecued pork filling, and bao is the fluffy and chewy bun. 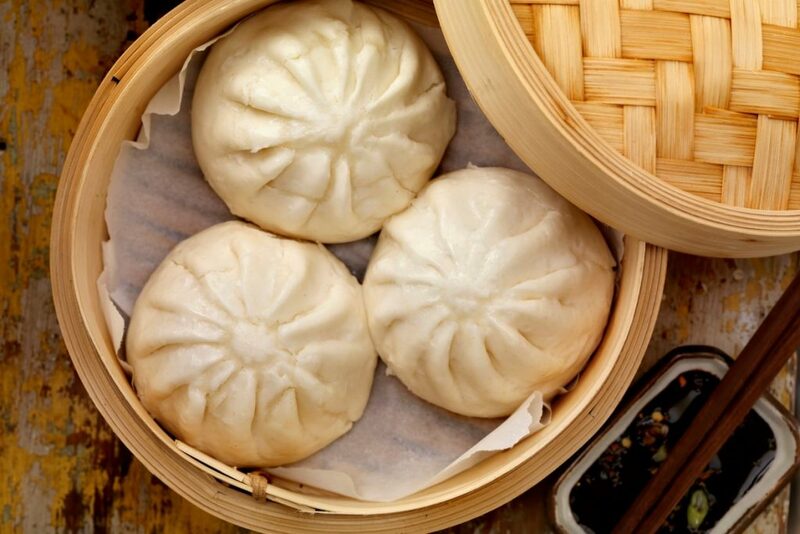 Pork buns can also be baked, and is then referred to as cha shao can bao. A version is also found in Hawaii, called manapua. 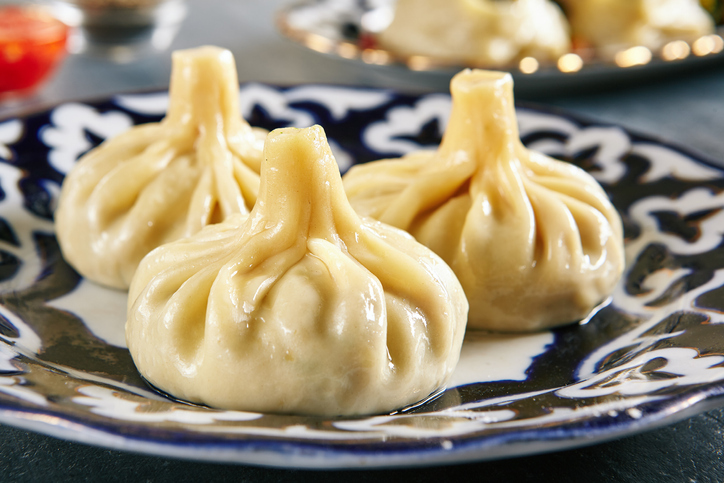 Also called joshpara, dushbara, and shishbarak, this small boiled dumpling is found throughout both Central Asia and the Middle East. Unleavened dough is filled with ground meat (usually lamb) and spices before being boiled in meat broth and being served with yoghurt or sour cream. It is similar to the Turkish manti. 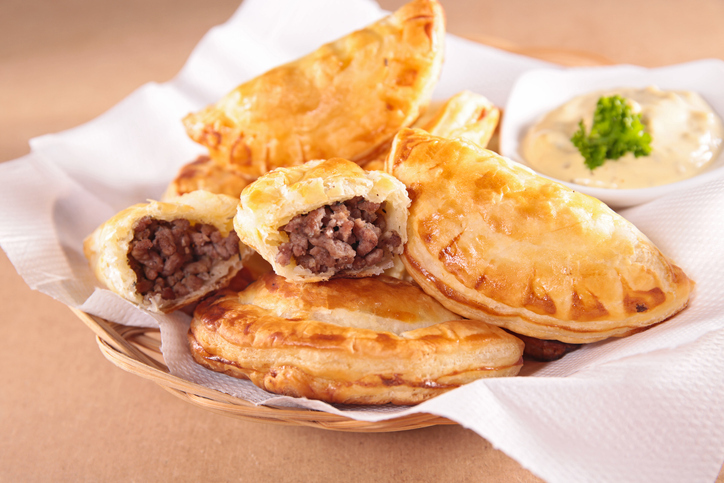 These savoury fried pouches of fried dough can be found all over South America. There are tons of varieties and stuffings – from tuna fish to chicken and corn. The flour or corn-based dough is then folded over this filling and it is then fried. It is similar to the Italian calzone. While some people consider empanadas too big to be dumplings, but we say, the more the better! 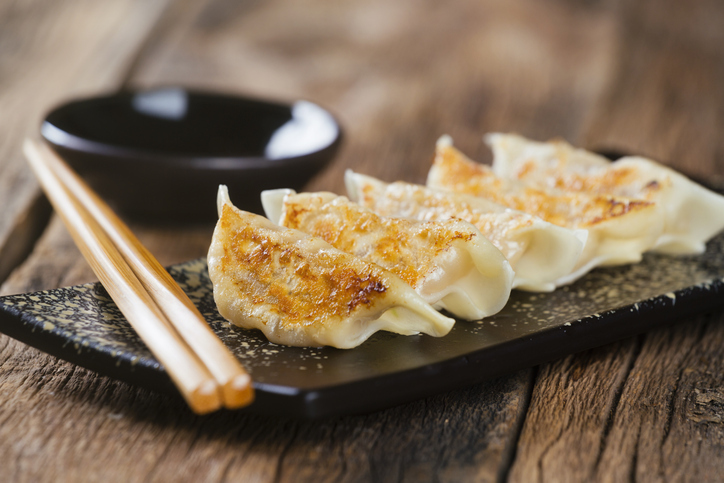 These Japanese dumplings are related to Chinese potstickers (guotie), though they tend to be made with thinner wrappers, and filled with minced pork, cabbage, scallions, garlic, and ginger. They are then served with a dipping sauce of rice vinegar, soy sauce and chilli oil. 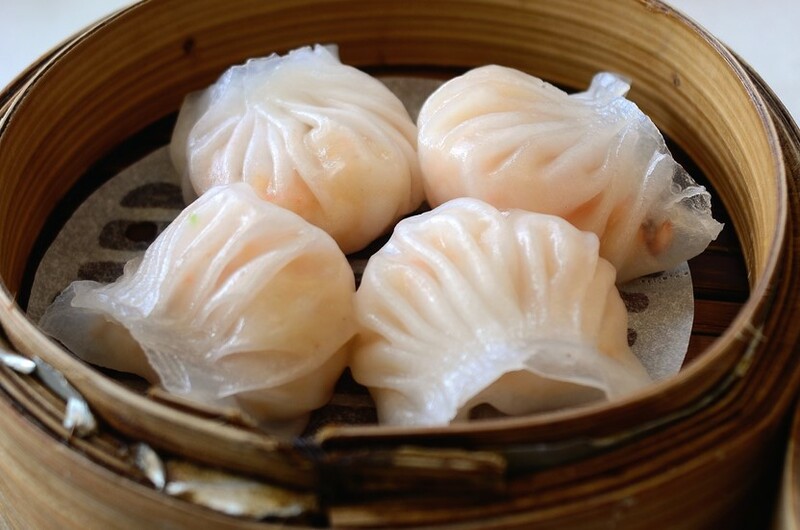 A traditional Cantonese dumpling, ha gow is also served in dim sum. Sometimes called a “shrimp bonnet,” the translucent wrappers are filled with shrimp chunks, bamboo shoots, scallions, and grated ginger. The tapioca and wheat flour wrappers are then pleated and steamed. 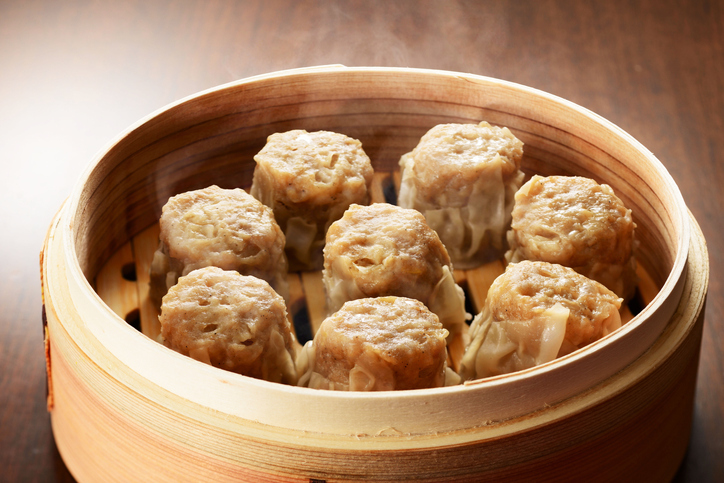 It is often served together with Siu Mai. The most common Chinese dumpling, jiaozi refers to a thinly rolled piece of dough stuffed with ground meat and/or vegetables. They can be steamed (zhēngjiao), boiled (shuijiao)or pan-fried (guotie, also known as “potstickers”). Jiaozi are different from Chinese filled buns (bao or baozi) which are much thicker and are more like mantou or plain steamed buns. These traditional Georgian dumplings are usually filled with spiced meat, herbs, onions, and garlic. A flour-based dough is wrapped around the filling (and twisted at the top) while it is still raw, and then boiled so that the juices of the meat are trapped inside. Khinkali are usually served with coarse black pepper. 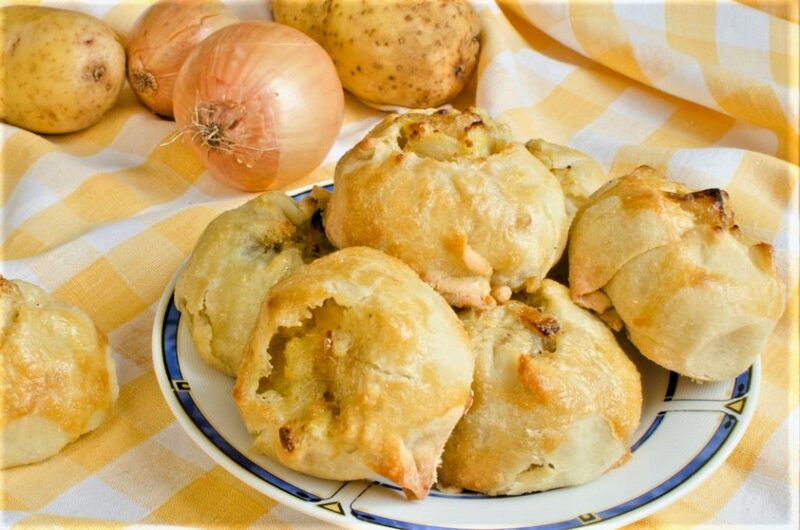 A knish is a Jewish snack found across Eastern Europe. Fillings of mashed potato, ground meat, sauerkraut, onions, or cheese are covered in a heavy dough which is then either baked or deep fried. Another Jewish Eastern European dish is the kreplach. 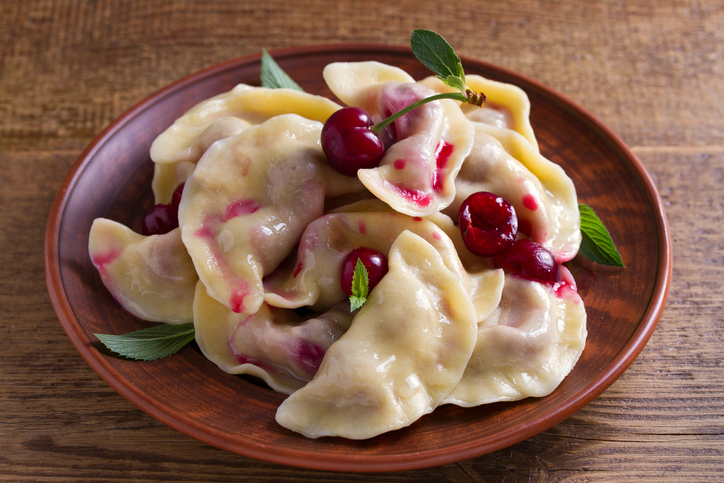 Often compared to the Polish uszka, and the Italian tortellini, these dumplings are made of a thin flour-and-egg dough. This is then filled with various meats or potatoes. 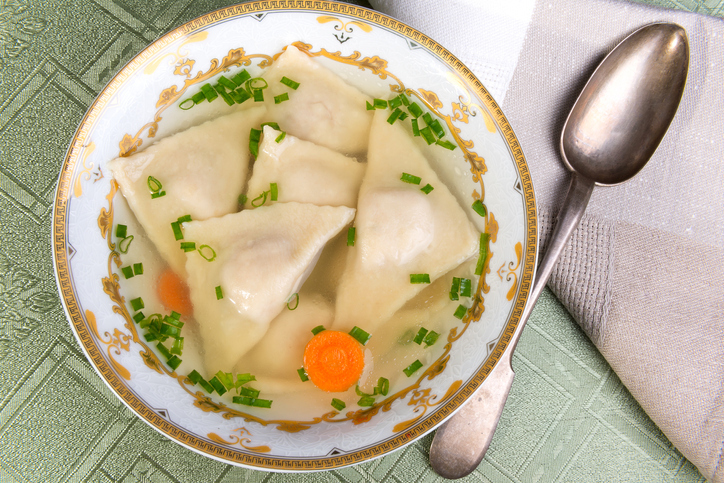 The kreplach is folded into a triangle or a crescent and served in chicken soup. 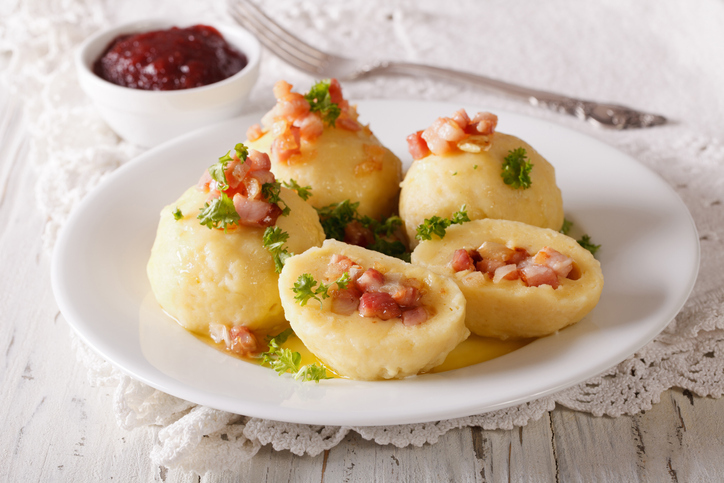 Kroppkaka is a traditional Swedish potato dumpling. It is filled with an allspice-flavoured mix of bacon and onions and served with lingonberry sauce and butter. When the potato is mixed with barley flour, it is known as palt. The most popular versions of this are the Pitepalt from Piteå, which is stuffed with minced meat, and blodpalt, where pig, beef or reindeer blood is mixed into the dough. Mandu are the Korean take on dumplings. But, they are more similar to the Central Asian manti than they are to Chinese or Japanese dumplings. 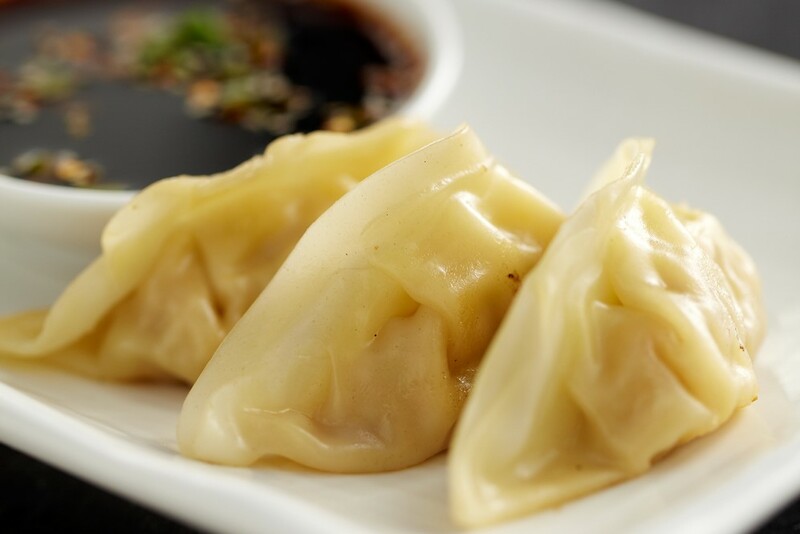 Korean mandu are typically filled with a mixture of ingredients, like ground pork, kimchi, vegetables, and noodles. There are very many variations, and mandu can be steamed, fried, boiled, or even used to make a soup called mandu-guk. 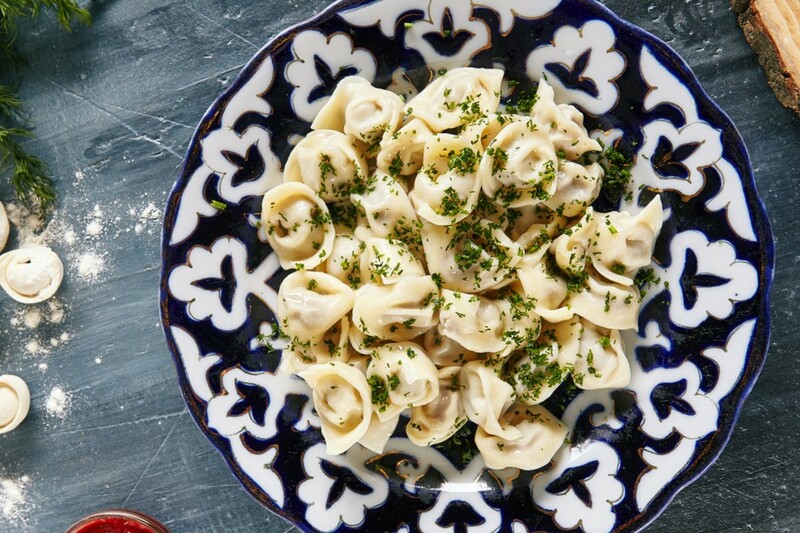 These dumplings from Turkey can be found throughout Central Asia, especially in northwestern China, Azerbaijan, Uzbekistan, and Kazakhstan. They are stuffed with ground lamb or beef spiced with black pepper and served with yoghurt sauce spiced with red pepper(or Middle Eastern sumac) or with butter. 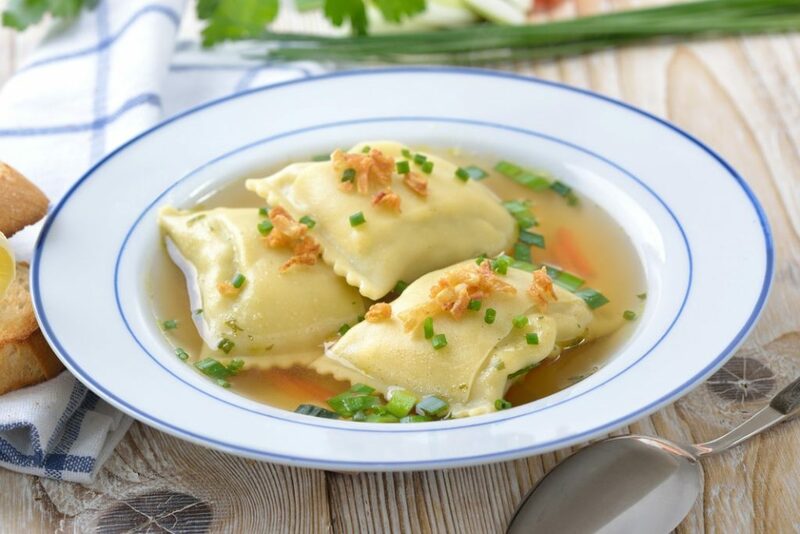 Maultaschen is a traditional German dish consisting of an outer layer of pasta dough and a filling of sausage meat, spinach, bread crumbs and onions and flavoured with various herbs and spices. They look a bit similar to the Italian ravioli and originated in the region of Swabia. Maultaschen are often associated with Lent. Another dumpling that is popular across India is the modak. Most popular in the state of Maharashtra, the teardrop-shaped dumpling is made of rice flour and khoya. It is filled with coconut and jaggery or sugar and can be either steamed or fried. 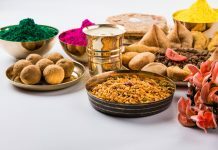 Modaks are eaten hot with ghee, especially during the Ganesh festival every August. 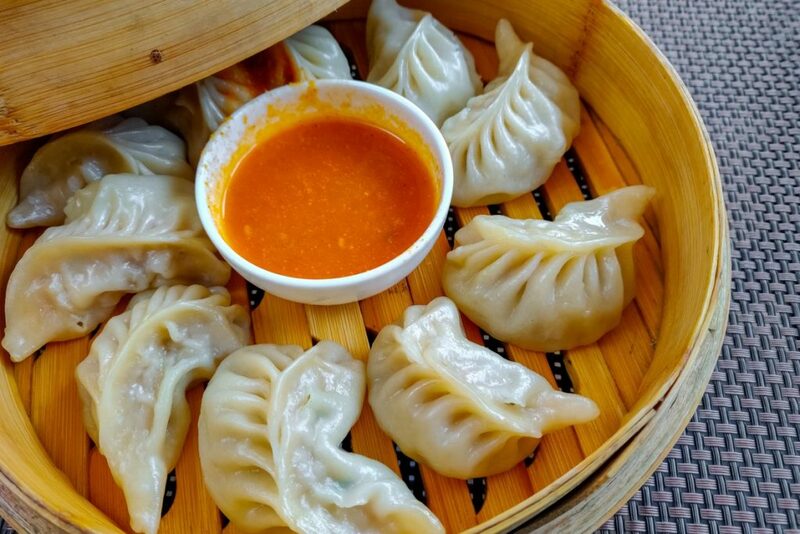 Momos are dumplings mostly found in northern Indian, Nepali and Tibetan cuisine. 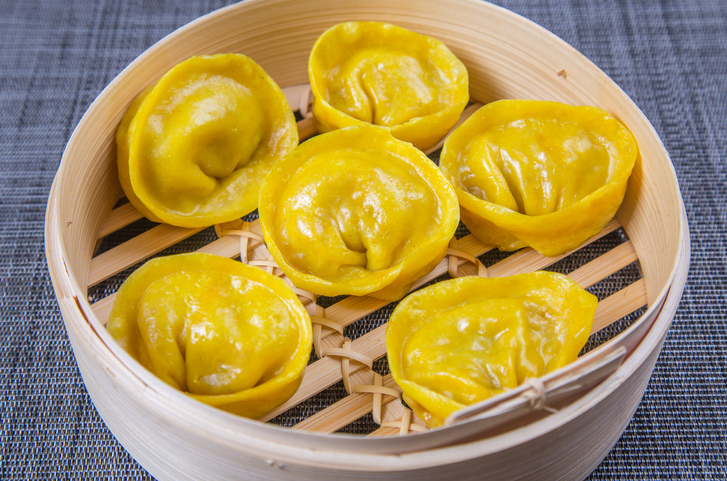 These steamed dumplings filled with ground meat, vegetables or cheese, and are usually served with a tomato-based dipping sauce. 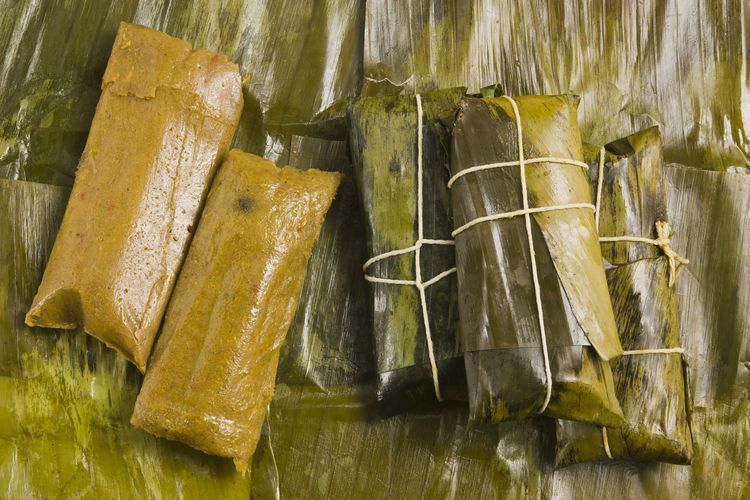 Pasteles are a dish popular across the Caribbean that is similar to Central American tamales. These dumplings are made with a dough, or masa, of grated root vegetables, squash, plantains, and unripe bananas, along with milk and annatto oil. This is then filled with stewed pork, chickpeas, and olives; wrapped in leaves; and boiled. They are popular in the Dominican Republic, Hawaii, Trinidad and in Cuba. 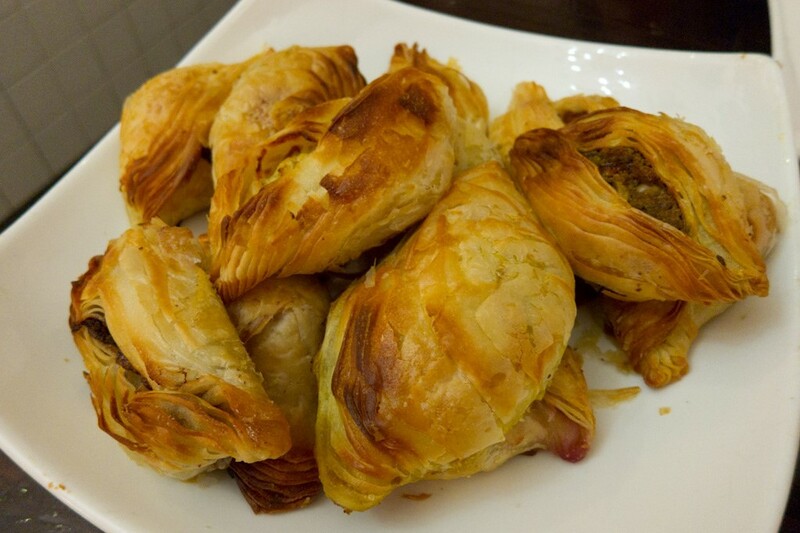 Pastizzi are diamond shaped pockets of phyllo-like dough from Malta. They can be filled with a variety of fillings, usually ricotta (pastizzi tal-irkotta) or mashed peas (pastizzi tal-piżelli). The pastizzi are then baked on metal trays. Pelmeni are ravioli-like crescent-shaped dumplings of Siberian origin, found throughout Russia and Belarus. Similar to the Turkish manti, unleavened dough is wrapped around a stuffing of meat, mushrooms, or cheese (but never anything sweet) and boiled in salted water. 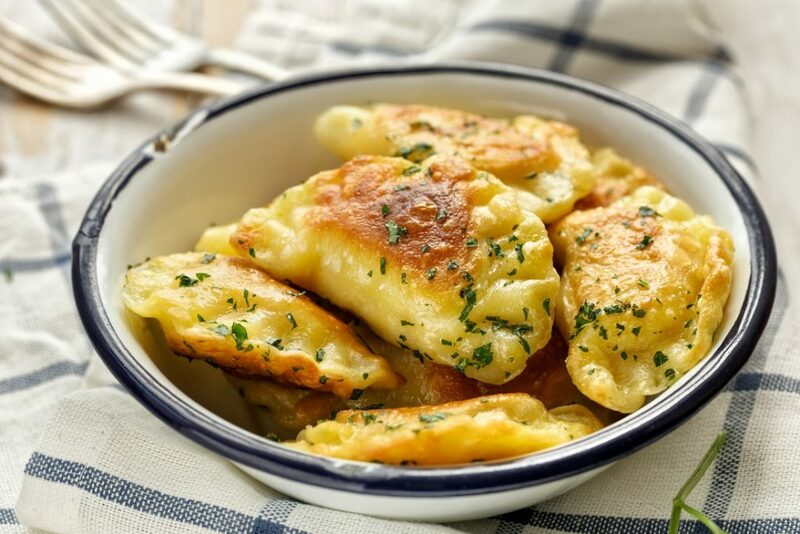 These iconic Polish dumplings are made by wrapping unleavened dough around a savoury or sweet filling (usually potato, minced meat, cheese, sauerkraut or fruit). This is then cooked in boiling water and then pan-fried in butter with onions. Savoury pierogi are served with sour cream, while sweet pierogi are sugared and served with melted butter or cream. 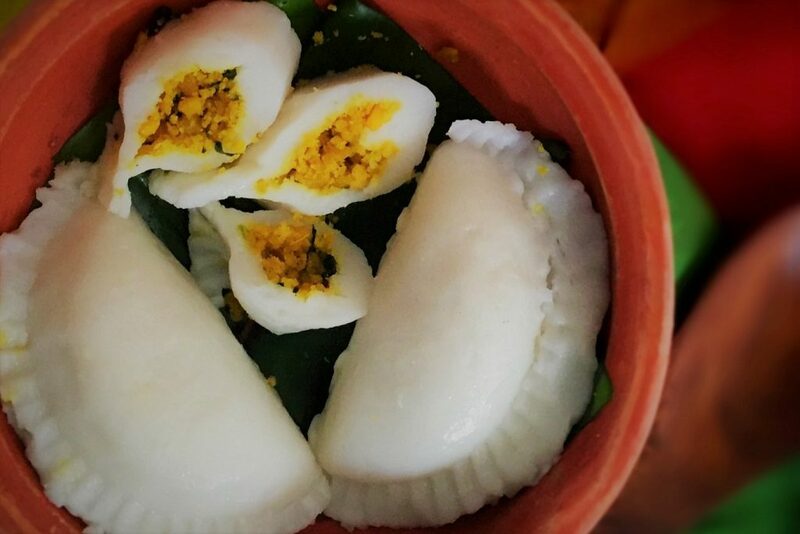 Pitha is often called the Bihari answer to dumplings and momos. 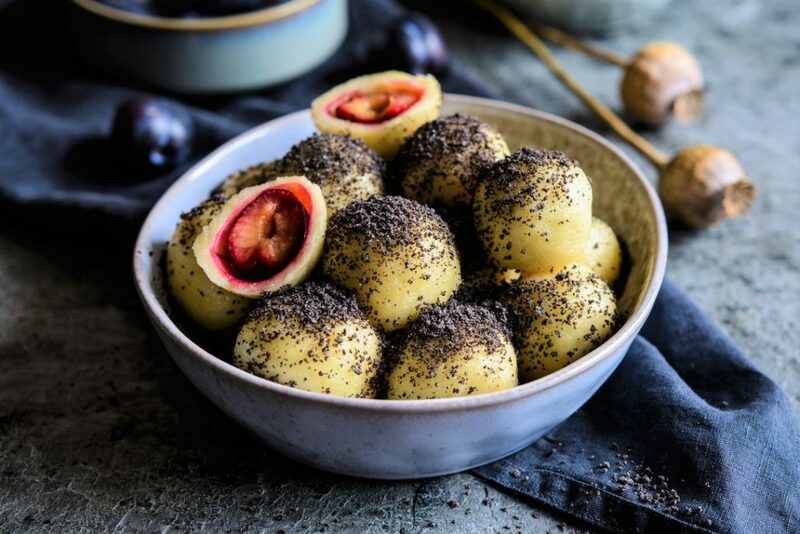 Either sweet or savoury, these semi-circular balls are made of kneaded rice flour and are stuffed with Bengal gram paste or Poppy seeds and jaggery. They are then steamed in water or milk. 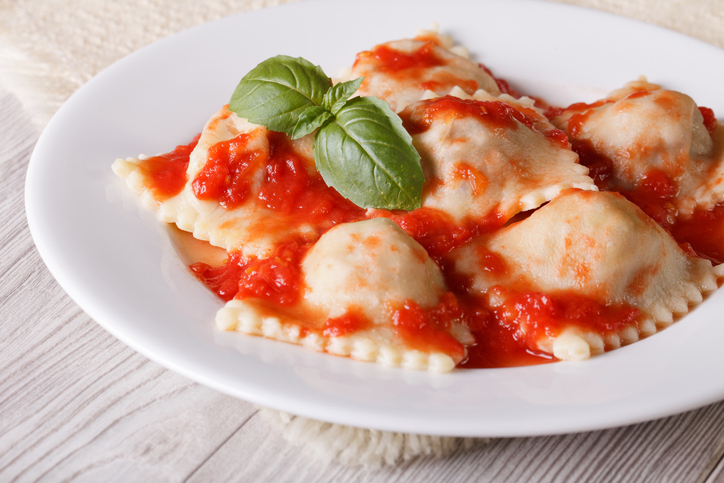 Ravioli are essentially are pockets of pasta with various fillings (and, therefore, qualify as dumplings). They can be stuffed with anything from meat to cheese to vegetables, and are usually served with a sauce or in broth. 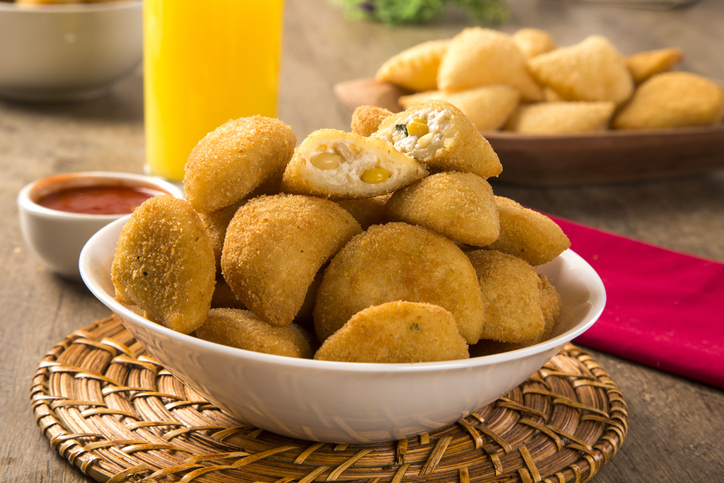 Rissóis (or rissoles as they are more commonly known) originated in Portugal. 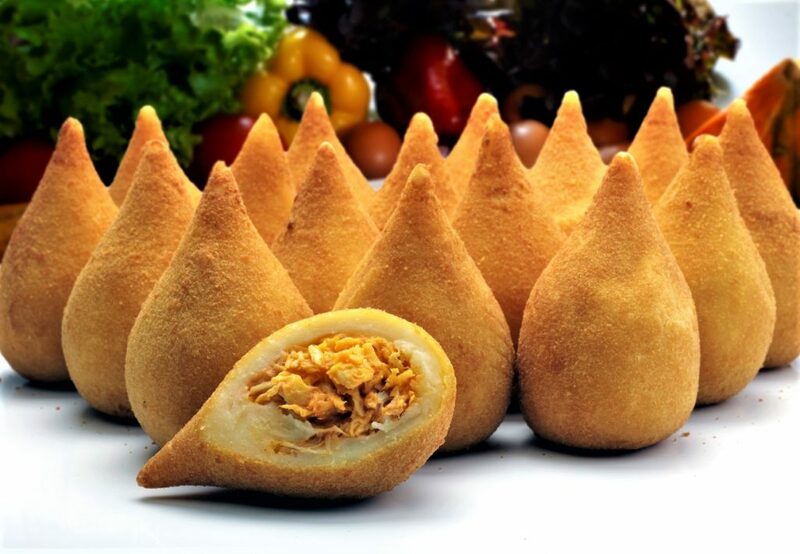 They are a breaded half-moon-shaped pastry usually filled with fish or shrimp in Béchamel sauce and then deep fried. Other variations use minced meat, ham, or chicken. Rissóis are a popular snack or appetizer throughout Portugal. 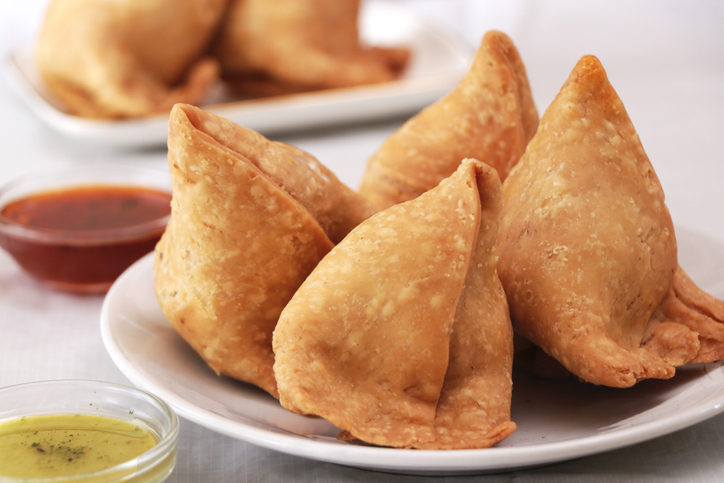 Samosas are a popular deep-fried Indian pastry. 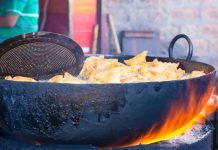 The hard, crispy shell is filled with potatoes, peas and spices, and it can also sometimes have meat. They can be found across India, and also in the Middle East and North Africa. 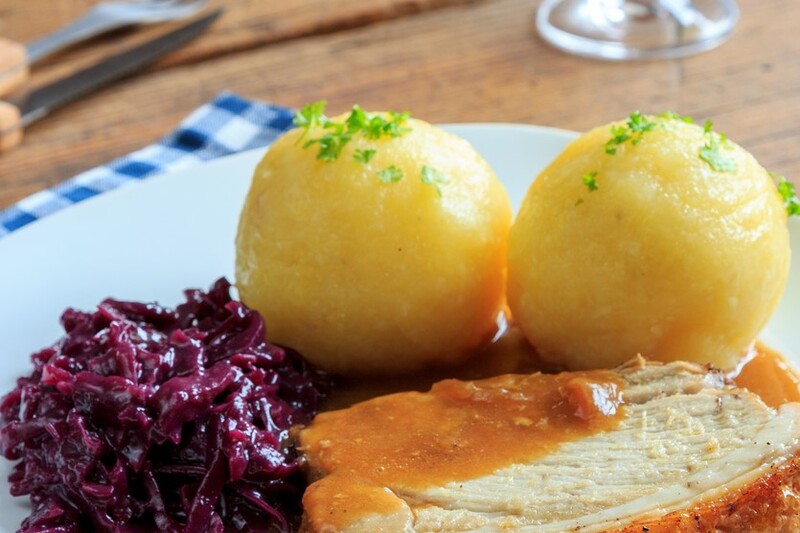 Knödel (or knedlík in Czech) refers to the many varieties of Eastern European dumplings, though most commonly those without a filling. However, svestkove knedlíky are unique dumplings that are filled with fruit. The dough is wrapped around a whole fruit (often a plum) before being boiled are sprinkled with sugar and served with quark or “curd cheese”. 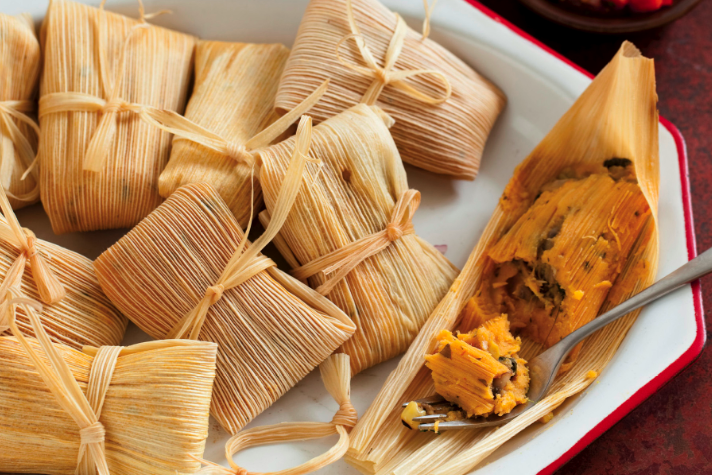 Though not typically considered dumplings, tamales are an iconic Mesoamerican dish that dates all the way back to the Mayan civilization. They are made with a starchy, corn-based masa or dough which is filled with meats, cheeses, fruits, and vegetables before being steamed in a corn husk or banana leaf. Though we may think of tortellini as pasta (and thus separate from dumplings), like ravioli, they too fit the definition of a dumpling. From the Emilia-Romagna region in northern Italy, these pockets of pasta dough may be enclosed with various fillings (like cheese, mushrooms, spinach, cheese, seafood, or meat). According to legend, the innkeeper who first made it was inspired by a glimpse of Venus’ belly-button when creating its distinctive shape. 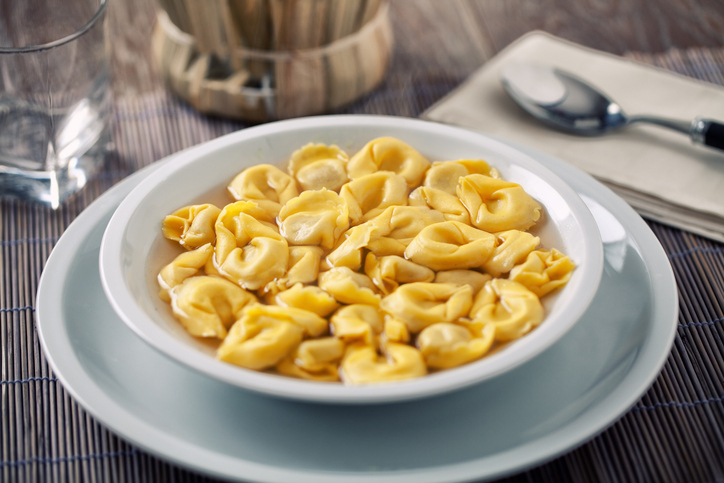 A local Bologna favourite is tortellini in brodo, which features the dumplings in a rich beef broth. 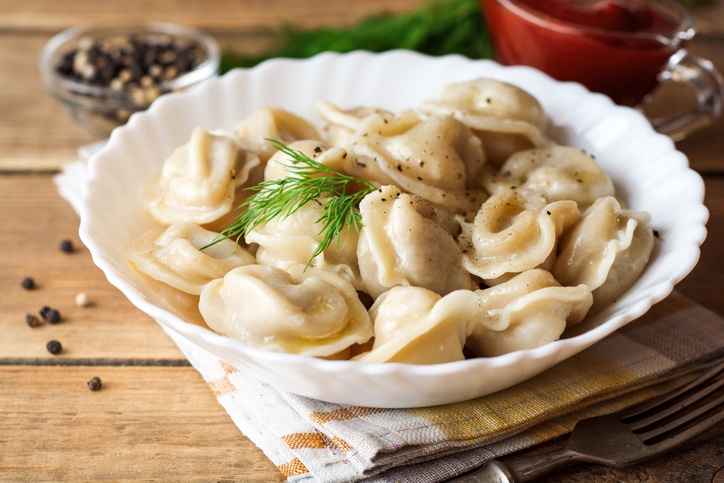 The Polish uszka is similar in shape to the Italian tortellini and the Jewish kreplach, but most closely resembles the Russian pelmeni. 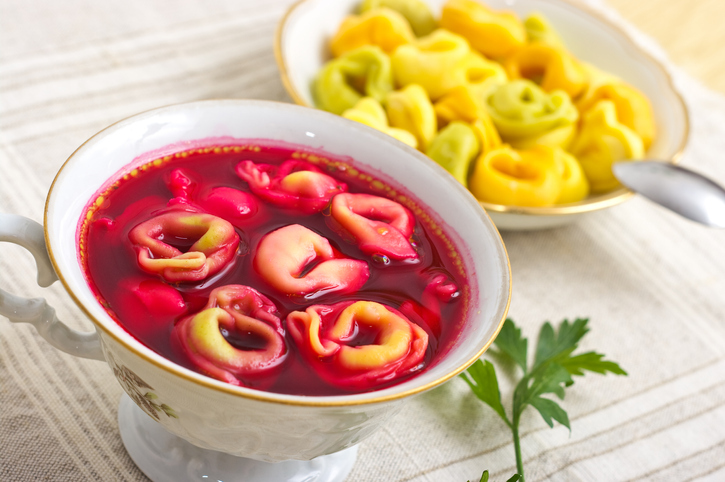 These folded ring-shaped dumplings are stuffed with meat or mushrooms and traditionally served in borscht or clear soup, especially on Christmas Eve. They are said to be shaped like ears as the word uszka means “little ears” in Polish. Similar to the Polish pierogi, varenyky is a Ukrainian dish. It can have fillings of fish (like carp or even salmon) or meat with chopped onions, cheese, dill, and pepper. In Ukraine, varenyky are traditionally eaten with sour cream, but may also be a dessert, filled with fruits such as sour cherry, blueberries, along with sweet cottage cheese, cloves, lemon juice, and sugar. Wontons are similar to jiaozi, but have thinner skin and are relatively flatter. They are also usually served in broth, rather than being eaten with dipping sauce. heir preparation varies by region, and often contain a ground pork, garlic, and minced cabbage filling. Wontons can either be boiled (when served in soup) or deep-fried. Wonton noodle soup is a speciality of Guangzhou (Canton) in southern China, while those boiled with spicy chilli oil, sesame seeds, and scallions are a Sichuan specialty. 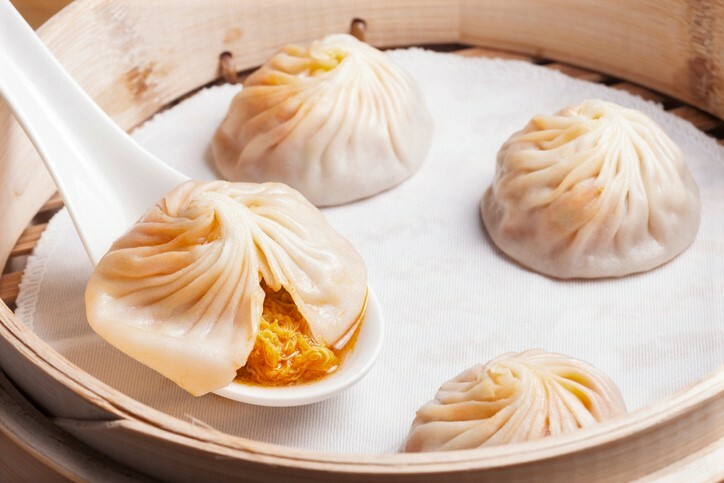 These steamed dumplings from Shanghai are perhaps better known as “soup dumplings”. They’re filled not only with the usual ground pork, mushrooms, ginger, and garlic but also a small piece of aspic which melts when steamed creating a flavourful broth. The injection of broth also means that xiao long bao are pinched at the top instead of folded in half. 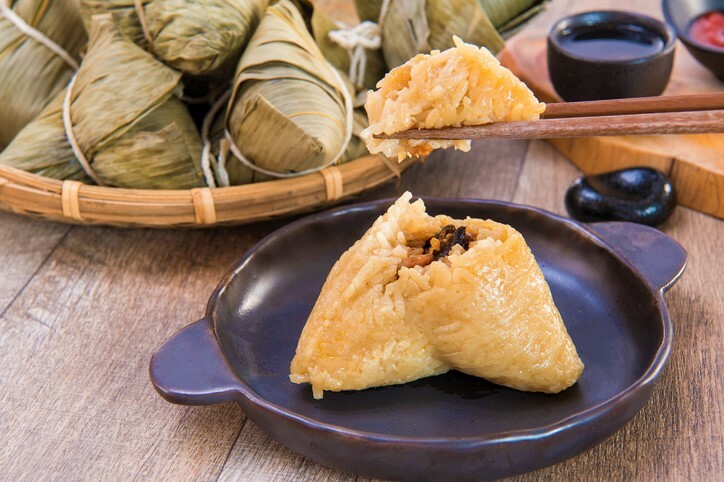 Zongzi is a type of Chinese dumpling made with glutinous rice. Usually, the glutinous rice is triangle or cone-shaped and is filled with red bean paste, Chinese dates or cured meat. The dumplings are and wrapped in bamboo leaves before being steamed or boiled. 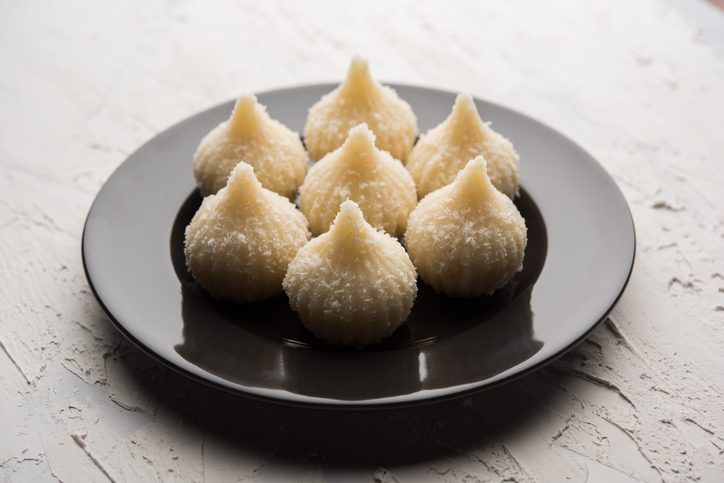 They are traditionally eaten during the Duanwu Festival (Dragon Boat Festival). There are many other types of dumplings around the world; such as the Chinese tangyuan and the Japanese daifuku (both desserts made with glutinous rice flour and containing a sweet filling); Cornish pasties (savoury pastries filled with meat and potatoes) and the Greek tyropitakia (phyllo dough pastry triangles filled with cheese). 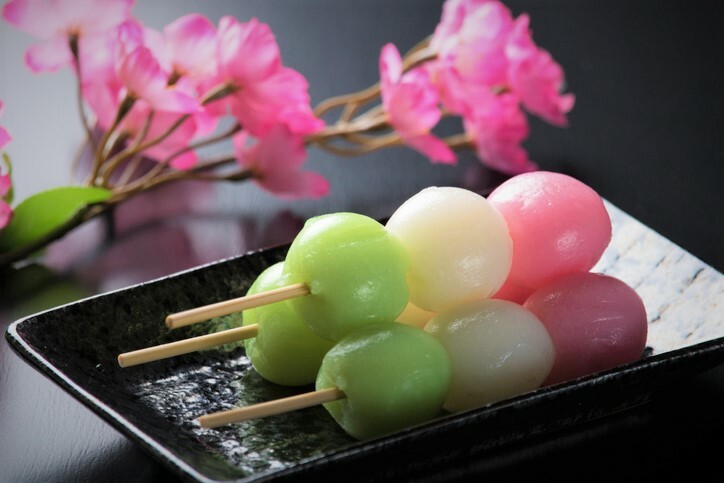 Dango – similar to mochi, they are made from rice flour and served on a skewer; there are different varieties for the different seasons. Gnocchi – these Italian dumplings are shaped from a mixture of egg, potato, and flour; they are served with butter, cheese, or other sauces. Kartoffelknödel – knödel is the German word for boiled dumplings, and kartoffelknödel are a version made with potatoes and/or semolina flour to accompany meat dishes. You can also try semmelknödel, made with bread and eggs, and the Jewish matzah balls made from matzah meal. Kubbeh – an Iraqi-Jewish dish made with bulgur, minced onions, finely ground meat, and Middle Eastern spices. 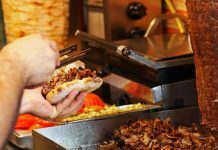 It can also be called köfte and is popular across the Levant. Shlishkes – small boiled potato dumplings made from potato dough and rolled in bread crumbs; they are popular in Hungary. Souskluitjies – sweet dessert dumplings from South Africa often covered in a cinnamon syrup or custard. So there you have it. These are some of the most delicious dumplings around the world. If we’ve missed any of your favourites, do share them in the comments below.